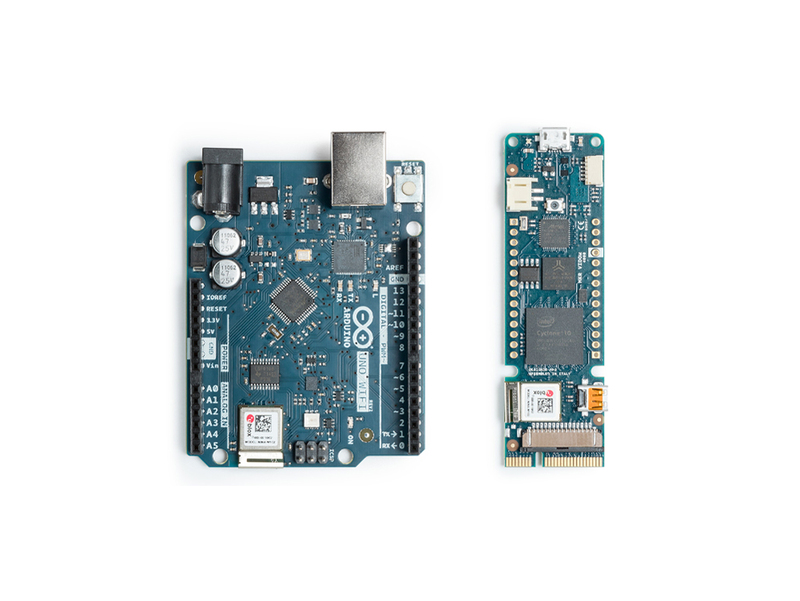 Arduino Blog » Say hello to the next generation of Arduino boards! 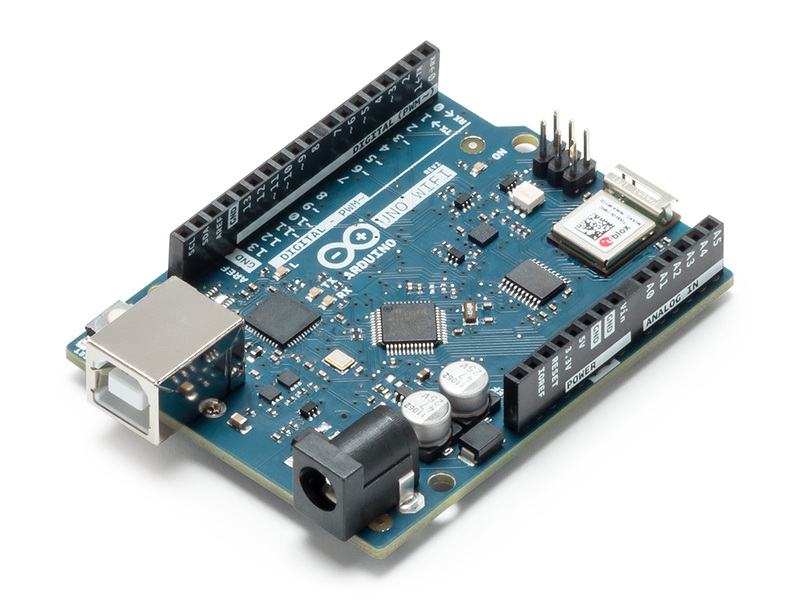 Say hello to the next generation of Arduino boards! We’re excited to kick off Maker Faire Bay Area by expanding our IoT lineup with two new boards: the MKR Vidor 4000 and the Uno WiFi Rev 2. 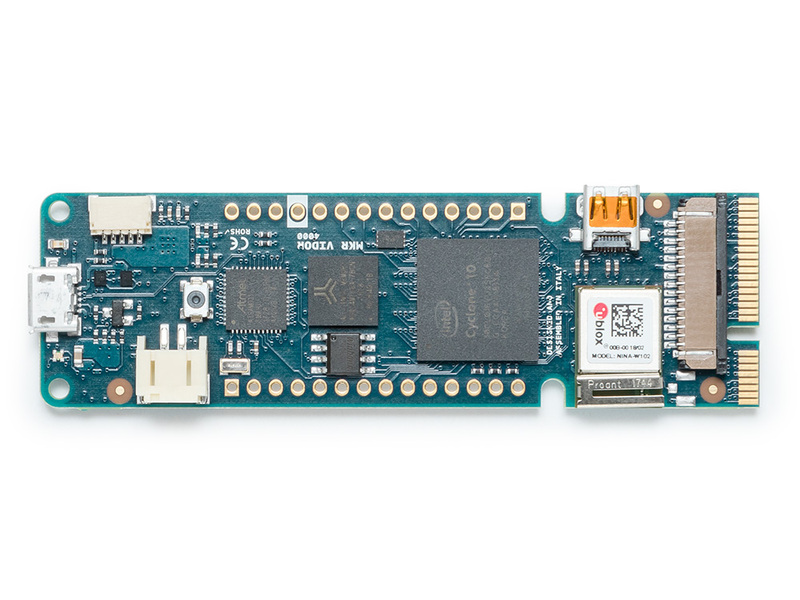 The MKR Vidor 4000 is the first-ever Arduino based on an FPGA chip, equipped with a SAM D21 microcontroller, a u-blox Nina W102 WiFi module, and an ECC508 crypto chip for secure connection to local networks and the Internet. MKR Vidor 4000 is the latest addition to the MKR family, designed for a wide range of IoT applications, with its distinctive form factor and substantial computational power for high performance. The board will be coupled with an innovative development environment, which aims to democratize and radically simplify access to the world of FPGAs. Co-developed with Microchip, the Uno WiFi Rev 2 is built around the new ATmega4809, a u-blox Nina W102 WiFi module, and an integrated IMU. 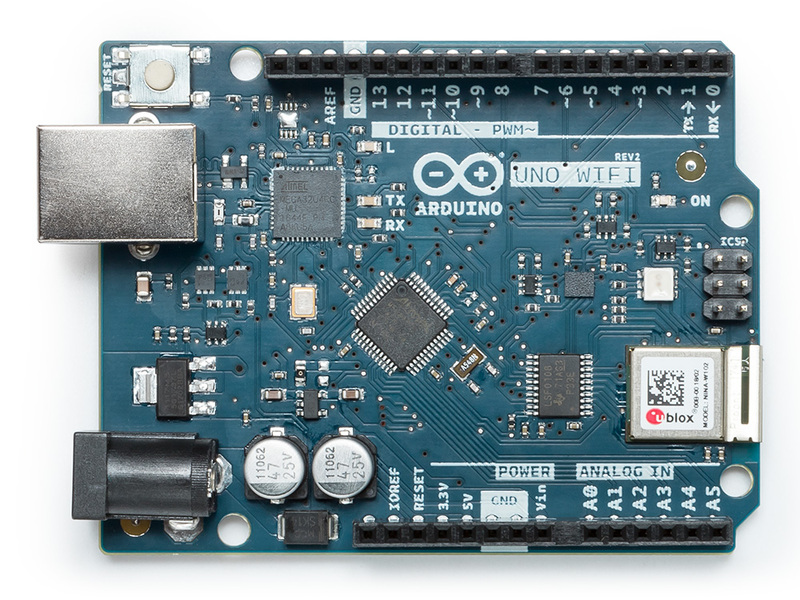 The Uno WiFi will make it even easier to deploy products that need connectivity using the classic Arduino form factor, and is ideal for emerging IoT industries such as automotive, agriculture, consumer electronics, smart home, and wearables. Among its other features, the ATmega4809 provides 6KB of RAM, 48KB of Flash, three UARTS, Core Independent Peripherals (CIPs), and an integrated high-speed ADC. 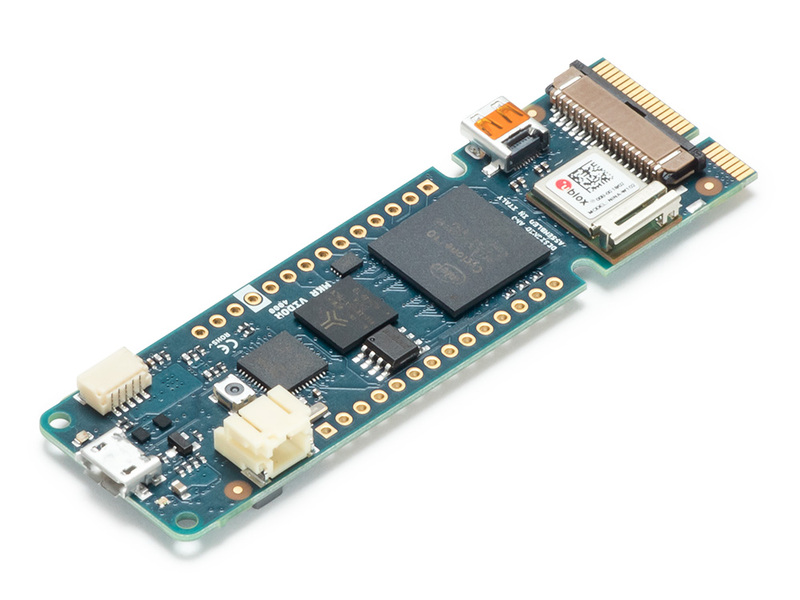 Combined with Microchip’s ECC608 crypto chip on the Uno board, the microcontroller also provides hardware-based security for connecting projects to the cloud including AWS and Google. Those heading to Maker Faire this weekend are invited to attend Massimo Banzi’s semi-annual ‘State of Arduino’ talk, where you can learn more about our latest developments including the MKR Vidor 4000, Uno WiFi Rev2, and our Arduino Day releases. Both the MKR Vidor 4000 and Uno WiFi Rev2 will be available on the Arduino online store at the end of June. Wow! I’m looking forward to both of these! I have a few samples of the ATmega4809; the capabilities present within it are incredible! The integration of WiFi, and the ATECC608A open up a mind-boggling amount of possibilities. And FPGAs, well, the potential for awesome projects is just about limitless. I’ll be ordering both ASAP! I’m still gonna stick to my trust esp8266 and esp32, thanks though. The MiniPCI Express connector seems interesting but will it work in Windows, Linux and the MacOS? And in Windows Server 2016? How do you program this device when it’s connected inside the computer? I thought it will be available at the end of June, but not available yet on the store…………. Once you understand that two Arduino months == one calendar year, then it all makes sense. This has been the case for many years (or, I should say, “a few Arduino months”). Some boards get announced and they *never* get released (or un-announced). Remember the “Arduino Tre”? Of course not!